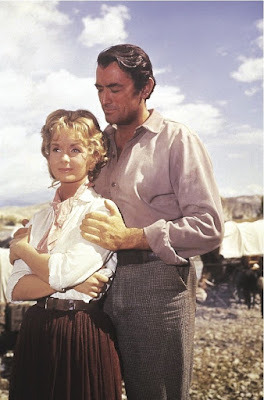 TCM is airing a night of epic Westerns this week that includes How the West Was Won (1962). This movie features several big-name stars, including Debbie Reynolds and Gregory Peck. Every Monday in June, TCM is airing the films of actress and fashion icon Audrey Hepburn. This week features two of her films shot in the City of Lights, Paris When It Sizzles (1964) and Funny Face. There's also a night of epic Westerns and an 100th birthday tribute to leading lady Susan Hayward. 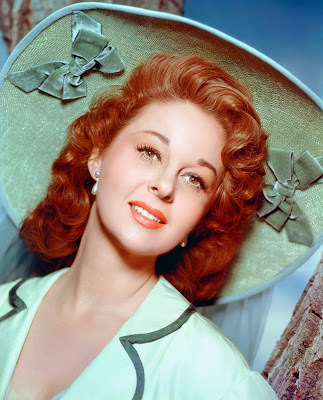 Birthday tributes: Eleanor Parker on Monday; Susan Hayward on Friday. Noir Alley: Farley Granger and Cathy O'Donnell play a couple on the run from the law in director Nicholas Ray's first feature They Live by Night (1948) at 10 a.m. Sunday. TCM Essentials: Lady con artist Barbara Stanwyck sets her sights on eccentric millionaire Henry Fonda in writer and director Preston Sturges screwball comedy The Lady Eve (1941) at 8 p.m. Saturday. Silent Sunday Nights: Love Among the Ruins (2015) at midnight is a mockumentary from Italian director Massimo Ali Mohammad about the "discovery" of a long-lost silent film about World War I. The drama A Man There Was (1917) at 1:15 a.m. from Swedish director Victor Sjostrom is considered the first film in the golden age of Scandinavian silent cinema. TCM Imports: Two films about the rural-urban divide starting with Stefania Sandrelli as a naive country girl who moves to Rome to become a celebrity in Italian director Antonio Pietrangeli's comedy-drama I Knew Her Well (1965) at 2:30 a.m. Next, Jean-Claude Brialy returns to his hometown to find it very different than he remembered in the French New Wave classic, Le Beau Serge (1958) at 4:45 a.m.
Best Day to DVR: Wednesday prime time and late night. TCM is airing a night of epic Westerns starting with director William Wyler's The Big Country (1958) at 8 p.m. This sub-genre of sprawling cinematic spectacles was extremely popular in the late 1950s and 1960s. The best remembered among these films today is the all-star epic How the West Was Won (1962) at 11 p.m. TCM rounds the night off with director Anthony Mann's 1960 remake of the Oklahoma-frontier drama, Cimarron at 2 a.m. followed by director John Ford's elegiac movie about the plight of American Indians, Cheyenne Autumn (1964) at 4:45 a.m.
Three daytime picks: A birthday tribute to Eleanor Parker who was born June 26, 1922, in Cedarville, Ohio. She got her start in Warner Bros. programmers like the World War II drama The Pride of the Marines (1945) at 8:30 a.m., but her ability to meld her looks and personality into a wide variety of roles led her to get plum parts like her Academy Award-nominated performance as a naive prisoner in Caged (1950) at 2:45 p.m. One of Parker's most complex roles was as a woman with multiple personality disorder in Lizzie (1957) at 6:30 p.m.
Prime time lineup: TCM is celebrating the career of leading lady Audrey Hepburn each Monday in June. This week's prime time selections are two of her movies filmed in the City of Lights: the rom-com Paris When It Sizzles (1964) at 8 p.m., and the musical Funny Face (1957) at 10 p.m.
Late night pick: The 1956 adaptation of Leo Tolstoy's epic novel War and Peace at 2:15 a.m. has its issues, but Hepburn still shines as the Russian aristocrat Natasha Rostova. Lana Turner and John Garfield in The Postman Always Rings Twice (1946). Three daytime picks: The Hepburn movies continue with she and Sean Connery revisiting the oft-filmed Robin Hood legend in the bittersweet romance Robin and Marian (1976) at 6 a.m. The afternoon lineup features movies set in restaurants starting with fry cook John Garfield and diner owner Lana Turner embarking on a adulterous affair in the noir The Postman Always Rings Twice (1946) at 12:30 p.m. Next, Judy Garland serves up meals to hungry railroad passengers in The Harvey Girls (1946) at 4:15 p.m.
Prime time lineup: A night of movies starring James Caan starting with cult favorite Rollerball (1975) at 8 p.m. about a violent roller derby-type sport that takes place in a dystopian future. Next is another sci-fi movie Countdown (1968) at 10 p.m., which is about two astronauts (Caan and Robert Duvall) who are vying to be the first man on the moon. Late night pick: Caan directed and starred in the drama Hide in Plain Sight (1980) at 12:15 a.m. It is based on the true story of a father who loses contact with his children after they are placed in the witness protection program. Three daytime picks: The theme is movies about island life. Last of the Pagans (1935) at 6 a.m. is a beautifully shot but cornily plotted adventure yarn about the inhabitants of Tahiti. Next, Joel McCrea and Fay Wray get caught on a remote island with human-hunting maniac Leslie Banks in the pre-code horror classic The Most Dangerous Game (1932) at 1 p.m. The horror continues with a Val Lewton-produced film about a possible vampire roaming a Greek island (the inhabitants are under quarantine) in Isle of the Dead (1945) at 8 p.m.
Prime time: See Best Day to DVR section. Late night pick: See Best Day to DVR section. Director Mike Nichols (far left, wearing jacket) directs Richard Burton and Elizabeth Taylor in Who's Afraid of Virginia Woolf? (1966). Three daytime picks: The morning theme is movies from screenwriter Sam Mintz. He was a a prolific writer in the pre-code era for films like the Hollywood spoof Make Me a Star (1932) at 8:30 a.m. and the Ginger Rogers-Norman Foster rom-com Rafter Romance (1933) at 1 p.m. The afternoon lineup features films from director George Nicholls, Jr., who worked for RKO Pictures on films like the Ann Harding courtroom drama The Witness Chair (1936) at 6:45 p.m.
Prime time lineup: TCM is putting the spotlight on gay Hollywood every Thursday in June with movies from actors, directors, and screenwriters who are part of the LGBT community. Tonight's lineup starts with playwright Edward Albee, whose drama Who's Afraid of Virginia Woolf? (1966) at 8 p.m. was turned into a groundbreaking film by director Mike Nichols. Next, the great Shakespearean actor John Gielgud has a memorable cameo in the black comedy The Loved One (1965) at 10:30 p.m.
Late night pick: Out actor Joel Grey won an Oscar for playing the Master of Ceremonies in the musical Cabaret (1972) at 7:30 a.m.
Three daytime picks: An 100th birthday tribute to Susan Hayward who was born Edythe Marrenner on June 30, 1917. 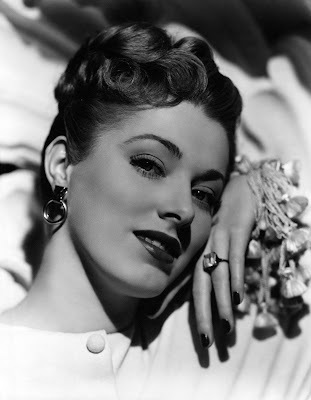 One of her most acclaimed performances was as alcoholic singer Lillian Roth in I'll Cry Tomorrow (1955) at 2 p.m. followed by the rodeo drama The Lusty Men (1952) at 4 p.m. (Hayward plays the wife of ex-champ Robert Mitchum). Finally, Hayward plays a lovely Israelite who tempts a Biblical king (Gregory Peck) in the epic David and Bathsheba (1951) at 6 p.m.
Prime time lineup: If you can't travel abroad this summer, you can take a European vacation on TCM every Friday night in June. Tonight's films are about European road trips starting with If It's Tuesday, This Must Belgium (1969) at 8 p.m. a fun comedy about a group of American tourists on a whirlwind bus tour. American teenager Diane Lane and her French boyfriend (Thelonious Bernard) hatch a plot to travel to Venice with the help of elderly pickpocket Laurence Olivier in A Little Romance (1979) at 10 p.m.
Late night: One couple's (Audrey Hepburn and Albert Finney) relationship is told through a series of car trips in Two for the Road (1967) at 2 a.m. The Essentials series continues at 8 p.m. with new host Alec Baldwin. He will be joined by his former 30 Rock costar Tina Fey to discuss writer and director Preston Sturges screwball comedy The Lady Eve (1941) at 8 p.m. followed by two more films about con artists falling in love: Gambler Cary Grant tries and fails to fleece the beautiful socialite Laraine Day in Mr. Lucky (1943) at 10 p.m. while grifter John Garfield can't resist the charms of rich widow Geraldine Fitzgerald in Nobody Lives Forever (1946) at midnight. TCM's prime time lineup is all about movies set on family farms in Texas. First, Sally Field plays a Depression-era widow who struggles to hold onto her family's land in Places in the Heart (1984) at 8 p.m. followed by director Jean Renoir's sensitive drama about a family of Lone Star sharecroppers who struggle to survive in The Southerner (1945) at 10 p.m. Some great films this week! Will try to catch Paris When it Sizzles tonight, and DVR Funny Face, one of my fav Audrey films. But the film that struck me in this bunch is A Little Romance. LOVE EVERY SCENE OF IT! Wonderful script, acting, direction, GORGEOUS photography of Venice. Watched this recently with my granddaughters & they fell in love with Thelinious Bernard. Would love to see you write an article on this. Thank you so much for the recommendation. 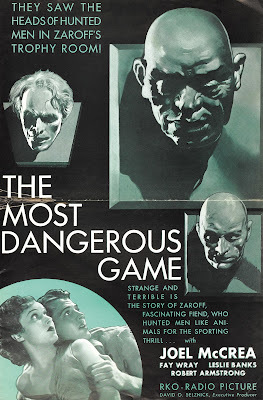 I've only caught parts of this movie on TCM, now I'm looking forward to seeing the whole thing.